The reasons we come to spiritual practice are numerous. Perhaps one may come due to problems like marital issues or addictions. Others may be living a happy life externally but feel that there must be something more to our existence. Some may also begin spiritual practice due to simple love for God. Regardless of why we begin spiritual practice, those who put sincere efforts into practice as per the six basic principles begin to experience the benefits of spiritual practice. Initially, a seeker may feel more happy and stable. With time they find that they give more happiness to others around them as well. With more effort, they begin to experience Bliss, a superlative experience that far exceeds the happiness experienced in day to day life. Finally, they experience that they are merging more and more with God. Along the way, a seeker experiences numerous other benefits. 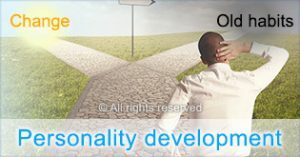 Each seeker has their own unique path to God and their own story to tell, and each sincere seeker knows how much spiritual practice has helped them. 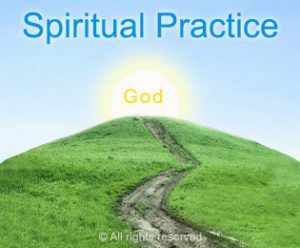 Read more about how you can benefit from spiritual practice in this section. The highs and lows of life can drain us of our energy. Through spiritual practice, we can attain a balanced state of mind where the ups and downs of life do not affect us as much. Do you have a desire to change yourself? Maybe you have tried techniques from self help books but found that after some time you return to your old habits. Spiritual practice helps us to change at a deeper level in a sustainable way. Many seekers have found that they can calmly face incidents that would have caused them to become upset before starting spiritual practice. This is a direct result of their capacity to bear pain increasing through spiritual practice. The three subtle components that make up the Universe also make up our basic nature. As a result, our behaviour becomes more spiritually conducive as we improve the proportion of the spiritually pure Sattva component in us through spiritual practice. Have you ever wondered why you behaved as you did in a situation? Looking back, your actions and thoughts may not make sense. 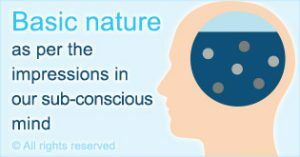 The reason is that the impressions in our subconscious mind play a large role in determining our actions and thoughts. Christie was experiencing strong negative thoughts and anger from her teenage years. She was able to overcome them through spiritual practice and has now progressed beyond the 60% spiritual level. Adrian felt something was missing in life, but he found his purpose through spiritual practice and improved the overall quality of his life as well.